I recently ordered a brand-new, custom-made laptop from Dell. Since then I have been on the lookout for a laptop bag to go with it. Looked at a lot of bags but it was only this morning that I think I may have found the one that will make me happy everyday! 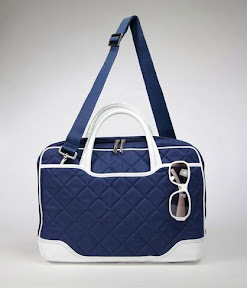 I love, love the quilted design of the Knomo laptop bag. 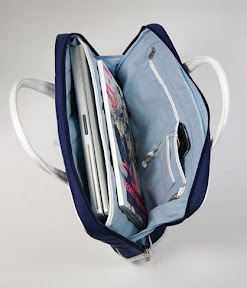 This is the Una design which fits 15" laptops perfectly. Ang ganda ganda! I prefer it in the navy/white combination. The price tag is what makes me want to weep. $275! I will be seriously praying if God wants me to purchase this. I rarely splurge but this still requires serious thought.